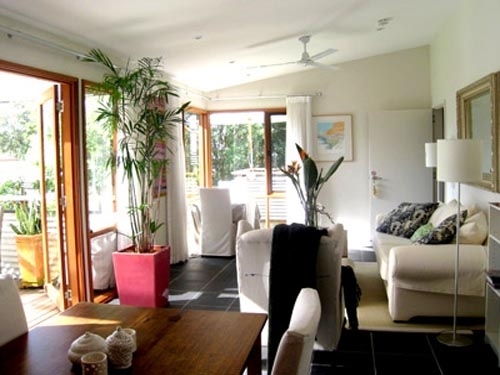 Christina's B&B is personalised, boutique accommodation in a niche between motels and five star resorts CLOSE TO SYDNEY YET A WORLD AWAY Nestled on the banks of Dora Creek. Only 1.5 hours drive from Sydney is one of Lake Macquarie's most renowned homes. Environmentally sustainable, designed and built by award winning Architect, John Mason. This dynamic home offers 2 stunning guest rooms with top of the range queen sized beds, en-suites (one with double spa bath) and private balconies, which overlook this unique stretch of water where you can enjoy the bird life and take in the relaxing atmosphere of yesteryear. Luxury Accommodation for adults, find all the little quality extras to spoil you.